It has been rumored that it is the turn of Delta North to produce the next governor of Delta State in 2015. Delta State is divided into three senatorial districts which Delta North has not produce the governor since the creation of Delta State and the enthronement of democracy in 1999. But a school of thought assumed that the next governor of Delta State should be the choice of the Deltans not one particular godfather handpicking his choice candidate or aspirant from the ruling political party in the state. Some political cabals have taken the state to the cleaners over the years without corresponding infrastructural developments to effect political change among the Deltans. Though Democratic Peoples Party (DPP) is waxing stronger to capture Delta State in 2015, but some cabals within the opposition party in the state were sacked as a result of scrupulous acts while Peoples Democratic Party (PDP) is not leaving any stone unturned to make sure the seat of the governorship position is politically retained by the party. Some political leaders within the ruling party have been paying some unscheduled political visits in the name of appreciating political elders and leaders of the party while some are indirectly displaying their political agenda towards 2015 with the fear of not to be intimidated and panicky by one ruling cabal in the party. To some extent, Governor Emmanuel Uduaghan has equally brought some dividends of democracy to the people but my personal moan with him is failure to conduct the Delta State Local Government Elections and allows corruption to strive in the system. The three senatorial districts, Delta South and Delta Central have occupied the governorship position while Delta North is yet to produce the governor under the PDP political arrangement. Some regions in the state like the Isokos, Delta Igbos, Kwales have been totally marginalized over the years. The unity of Deltans is being threatened by some political cabals that are in the ruling party while some regions within the state are strongly agitating for their own state, more local governments, senatorial districts and clans. The fact remains that corruption cannot be ruled out in any political party in Nigeria. The so-called new APC is the transmute of PDP and other political parties in Nigeria. 2015 would not be too easy for PDP because all the three senatorial districts want to produce their own governor without following the zoning arrangement in the state. Only few political leaders in the state have able to represent their people well while others see the position as opportunity to amass wealth and ignore calls and text messages of electorates that voted for them. Although, Delta State governorship position is opened to everybody but some possible candidates are mere jokers, noisemakers, media hype pretenders and posters ‘campaigners. We still have other political parties in the state that would likely want to bring their own candidates for the position of the governorship in 2015. Barrister Festus Keyamo is one of the possible candidates to contest for the governorship race for 2015 but yet to disclose his political party to the public. He is one of the vibrant candidates to wrestle power from some powerful cabals in the state. Some schools of thought still assumed that Festus Keyamo is not a politician rather a human right activist of the 21st century while activists do not make a good leadership in political position. He has legally contributed to the developmental progress of deprived Nigerians in terms of political mortification and others. He is the pioneer of the new Delta Forces United (DFU) that opts to change the political leadership of Delta State. Festus Egwarewa Adeniyi Keyamo Esq, lawyer, social crusader, critic and columnist is an intriguing personality. He was born in Ughelli. Delta State of Nigeria on Wednesday, January 21, 1970 by a father who hails from Effurun, Warri in Delta State and a mother from Ilaro in Ogun state. Festus Keyamo attended Oharis (Model) Primary School, Ughelli, 1975 to 1981, Government College, Ughelli. 1981 to 1986 and received his Higher School Certificate (HSC) course in the same school armed with these certificates, he gained admission into Bendel State University (now Ambrose Alli University (AAU) Ekpoma, in Edo State and obtained his L.L. B degree (Second Class Upper) in 1992. He was called to Nigerian Bar on December 15, 1993 setting the stage for colorful career in law. 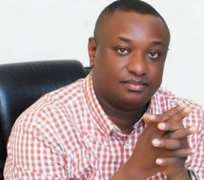 Keyamo as he is widely known started his legal practice in Gani Fawehinmi Chambers in Lagos at the height of the agitation for the revalidation of the June 2, 1993 election. Even as a young lawyer, he was on front row of legal activism representing icons like Beko Ransome- Kuti, chief frank Kokori and Ken Saro Wiwa as well as the duo of Chief M. K. O Abiola and Anthony Enahoro who were arrested in 1994 and other NADECO leaders. These challenging responsibilities helped to build Keyamo’s confidence in trenchant advocacy emerging with award of Best lawyer in Gani Fawehinmi Chambers in 1994. Keyamo has handled several controversial and landmark cases. He was counsel to the leader of the Niger Delta Peoples Volunteer Force, Mujaheed Dokubo- Asari in his trial for treasonable felony, lead counsel in the treason trial of the leader of the Movement for the Actualization of the Sovereign state of Biafra (MASSOB) Chief Ralph Uwazuruike and other MASSOB leaders as well as counsel in brutal murder of elder statesman chief Bola Ige. As one of the prosecutors for the Economic and Financial Crimes Commission (EFCC), he has secured the conviction of six public officers by full and complete trial (not plea- bargain). During the Abacha regime, Keyamo formed against misguided youths (YAMY) set up to challenge the youth Earnestly Ask for Abacha (YEAA) of Daniel Kanu in 1997. He was mobilizing Nigerians on the streets to sign petitions to international bodies when Abacha died. Recently, he initiated a probe of the leadership of the House of Representatives over alleged profligacy and mismanagement of public funds in the purchase of 380 units of 407 Peugeot cars. Keyamo’s brush with the authorities has been audacious. He has been detained several times in prisons and cells across Nigeria on account of his crusades for justice, human rights and against corruption. He has helped many youths of Delta State unjustly arrested and detained by the authorities free of charge and has been working closely with his Uvwie community for some years now to challenge the warped census figures allocated to Uvwie through the census. Tribunal and is also in court to reclaim their vast expanse of land compulsory acquired by the Army in 1975 purportedly for public purpose but now converted to private use. He was decorated with the Uvwie son of the year 2010. A man of amazing gusto and dogged spirit, his honors include Best Single Advocate of Nigeria law students, Taslim Elias Most Trial Competition 1992; honorary Alumni of various students’ Association, Activist of the year (2001) by the students Union, University of Jos; listed in the new who is who in Nigeria, 2003; and nominated for the world medal of Honour 2003, the American Biographical institute, in 2005. He was conferred with the chieftaincy titles of Ogba- Uri of Ogor kingdom (strong man of the law) 2005 and Omorokaro of Uvwie Kingdom (The child who leads the way) 2001 in Delta State but prefers to be called Mr’.Though other political contestants have their strong political clouts of winning the governorship position in 2015 like Rt. Hon Victor Ochie, the present Delta State House of Assembly speaker, Great Ovedje Ogboru, present Minister of Niger Delta Affairs, Godsday Orubebe, Senator Ifeanyi Okowa, Senator Manager, Chief Kpokpori, Comrade Macaulay Ovuozourie, Delta SSG and others. Deltans should set to vote for reliable candidates not arrogant ones with any business of serving the people in the state house come 2015.Only Deltans would determine their possible candidate if money bags politics does not play its way out.